If people don’t know the Chicago Bears will be hunting for a new kicker by now, they’re completely out of touch. Still, here’s a quick recap for those who aren’t caught up. Cody Parkey was signed to a major deal in the 2018 offseason after strong run in Miami. He missed 10 kicks in the regular season and then the 11th in the playoffs that would’ve won the wild card game against Philadelphia. He then compounded all of this by making a freelance appearance on the Today Show to talk about his struggles. 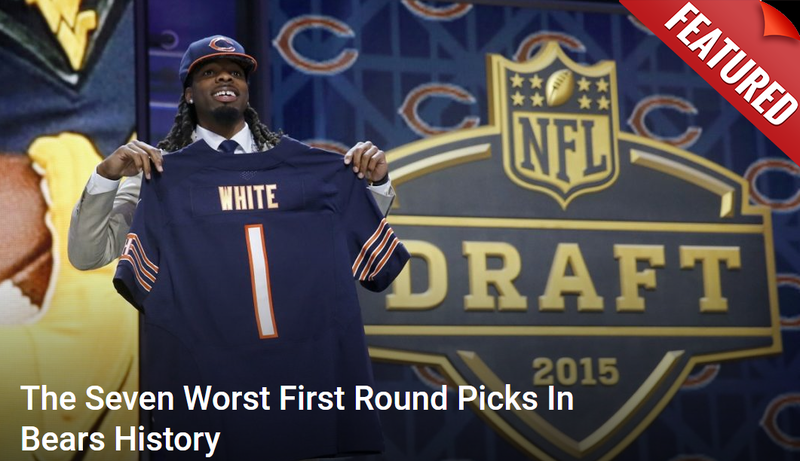 Something the Bears were clearly unhappy with. Since then the team has made it clear they absolutely plan to bring in competition at kicker. If they find somebody worthwhile, it’s all but certain Parkey is gone. The question is who will it be? The free agent market could have its fair share of interesting names including three-time Super Bowl champion Stephen Gostkowski and underrated journeyman Josh Lambo. However, most people have their eyes fixed on one name, and now ESPN is predicting he will officially return home. “The Bears bring back kicker Robbie Gould. Gould is unquestionably the greatest kicker in Bears history. He has the most points scored and the highest accuracy rate to prove it. That is why his exit from the team was so sad. After struggling in 2015, missing a number of kicks, he was released in early 2016. The Bears signed Connor Barth to replace him. Things didn’t get better from there. Barth struggled for two years and he was then replaced by Parkey. Meanwhile, Gould ended up with the New York Giants that season where he connected on all 10 of his field goal attempts. That was enough to garner interested from the San Francisco 49ers in 2017. He’s been with them in for the past two seasons and connected on 72-of-75 field goals. At age 36 he seems to have rediscovered his groove. Bears fans are itching at a chance to bring him home to let him finish his career where it began. The question is will Ryan Pace, the man who cut him in the first place, acquiesce and bring him back? Only he can answer that question.